Tom is currently the Senior Vice President for the Pardee Resources Company, a diversified natural resources company that owns, acquires, manages and develops land and natural resource properties and has its HQ in Philadelphia, Pennsylvania and regional offices in Charleston, West Virginia; Webster Springs, West Virginia; and Sugar Land, Texas. Since moving back to his home state of PA in 2002, Tom has held senior management positions with Equitable Resources, Linn Energy and JW Operating. After obtaining his BS degree in Petroleum and Natural Gas Engineering from Penn State, he began his career in 1980 working for Tenneco, where he held various engineering positions. 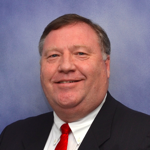 In 1988, he joined FINA and served as drilling and production manager in Oklahoma City, OK, and Midland, TX. In 1993, Tom became General Manager of the Central Division in Houston, TX, and later became the General Manager for all of FINA’s US Operations. Tom was a founding Board Member and recently served two terms on the Executive Committee of the Marcellus Shale Coalition. He is a current member and past Chairman of the Penn State University Industry Advisory Board for Petroleum & Natural Gas Engineering. He has also served on the University of Texas Petroleum Engineering Advisory Board. In addition to his BS degree in PNGE from Penn State, he also holds certificates in Executive Management from programs at Southern Methodist University and the University of Chicago. After the completion of a six year formation program, Tom was recently ordained as a Deacon in the Catholic Church and serves at Sts. John and Paul Parish in the Franklin Park / Marshall Township area in Northern Allegheny County.